X-Men 25: Magneto Rips out All of Wolverine’s Adamantium! 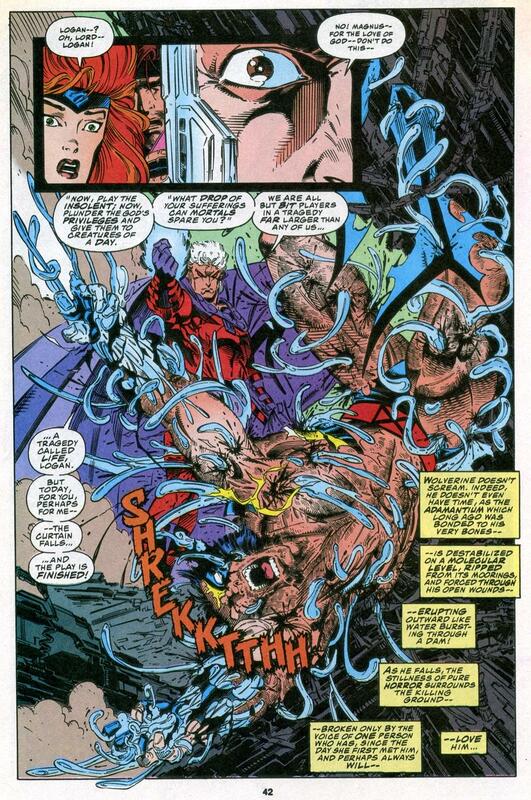 Today we’ll look at the scene where Magneto finally got so fed-up with our favorite shaggy-haired mutant that he ripped all the adamantium out of Wolverine’s body. Damn, that had to hurt! We’ve shared some scenes where Wolverine got his adamantium skeleton. If you want to see the cover, see our complete Fatal Attractions hologram wraparound covers for this whole series. Enjoy! And don’t be a bad mutant! – From X-Men #25; Marvel, 1993: part of the Fatal Attractions epic. Script by Fabian Nicieza, pencils by Andy Kubert, inks by Matthew Ryan. Avengers 66: The First Appearance of Adamantium! 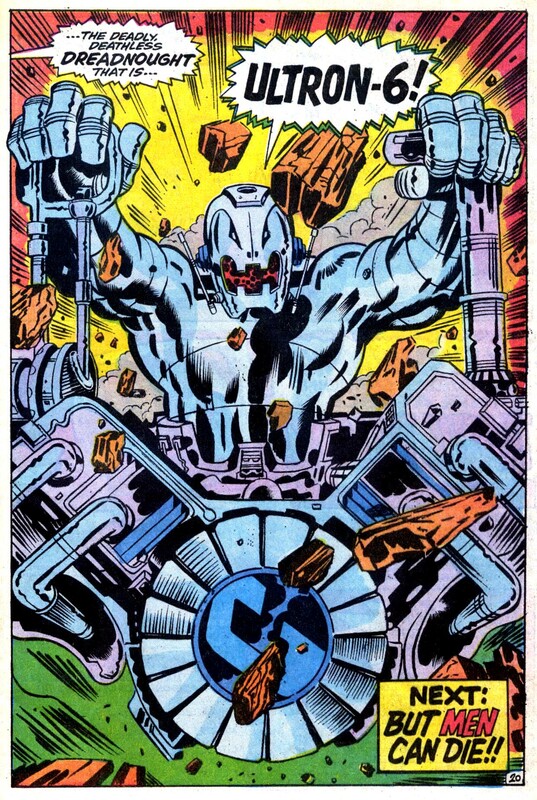 Roy Thomas created the metal Adamantium in 1969 in Avengers #66, the first of a trilogy starring the world’s most evil robot: Ultron! Barry Windsor Smith lays down visually stunning artwork inspired by his predecessors Jack Kirby and John Buscema. Smith returned to adamantium in Wolverine stories Wounded Wolf and Weapon X. This three-parter may well be our favorite classic Avengers story. Once upon a time, we had only read the conclusion in the reprint Marvel Super Action #29. A big Thank You to @GInvestor888 and @Horace_Austin for opening the doors of our memory, and for reminding us on Twitter this first part of the trilogy introduced adamantium to the Marvel Universe! Our Mr. Logan Is Somewhat More Than Human! 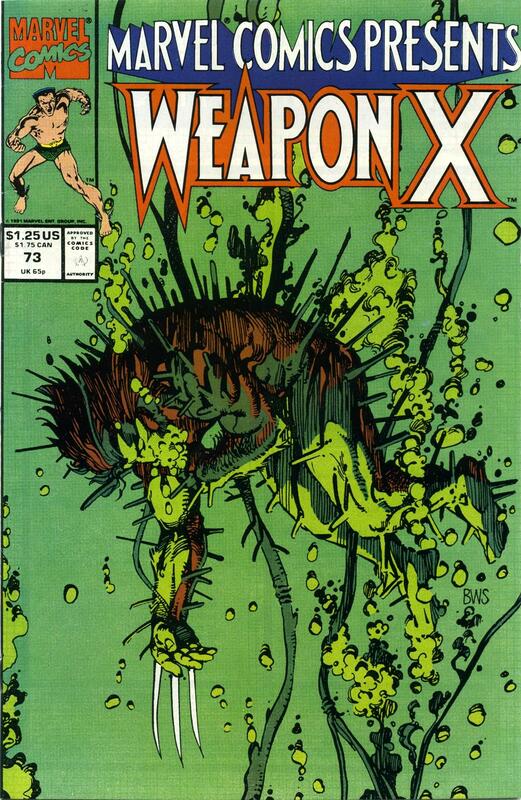 We continue our look at the terrible procedure that implanted Wolverine’s adamantium skeleton. 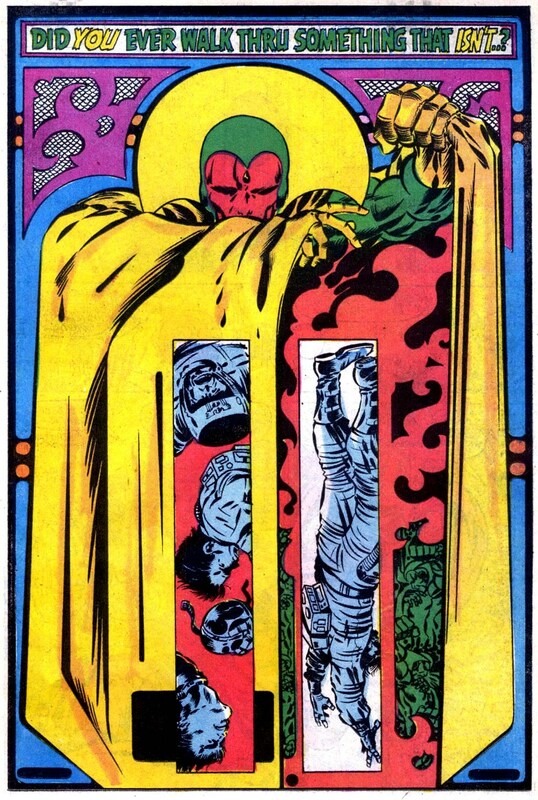 This amazing artwork from Barry Windsor Smith appeared in a 13-part story serialized in Marvel Comics Presents #73-84. – From Marvel Comics Presents #73. Here begins a 13-part story with incredible art by Barry Windsor Smith in Marvel Comics Presents #73-84. This marks the first time we saw Wolverine’s torturous adamantium implant procedure in such detail. Drop by tomorrow for more of Wolverine’s adamantium procedure. Your Biomed Transformation has been Completely Successful! Welcome to today’s exhibit in our Wolverine Gallery! More Barry Windsor Smith art for you – this time from Uncanny X-Men #205. Here are some totally gruesome human science projects for you, and lots of Wolverine in berserker mode. The story is called “Wounded Wolf.” Smith also drew the first look we had at the full procedure for implanting Wolverine’s adamantium skeleton. If you want to know who this Lady Deathstrike character is and why she wants to kill our favorite mutant, go check out Wolverine’s origin as revealed in the mid-80s in Alpha Flight #33-34. You’ll get the lowdown on psycho-lady and learn a few awesome things about Wolverine! – From Uncanny X-Men #205. 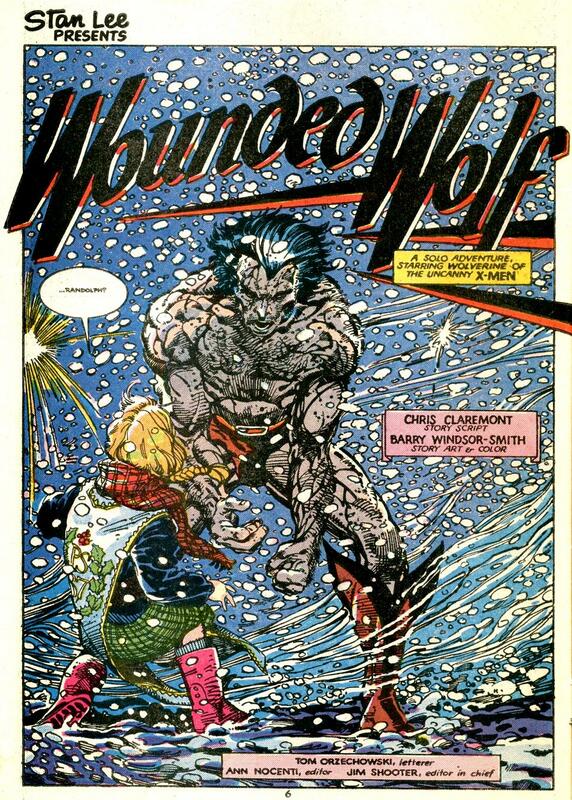 Wolverine Origin from Alpha Flight 33 and 34! Hats off to Marvel for finding fresh ways to sell a gazillion Wolverine stories to today’s newer fans. We’re glad our favorite mutant can keep the lights on at the House of Ideas! But things were simpler before all this “Wolverine Origins” explosion. Part of Wolverine’s appeal was that we did not know all of his past! Bill Mantlo (with artist Sal Buscema) pulled back the veil ever-so-slightly in the first volume of Alpha Flight. We learned a little bit more about how Wolvie got his adamantium skeleton. For those without photographic recollection of the plot lines, all you need to know is this: James MacDonald “Mac” Hudson was the founder of Alpha Flight. 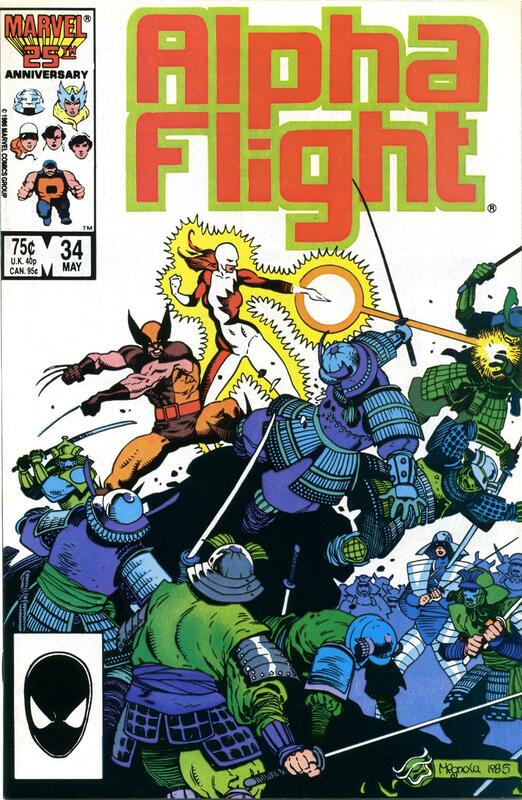 Alpha Flight was the name of a government project to create a Canadian super-team. Logan and Mac were buddies back when the team was coming together. Mac’s wife Heather donned Mac’s costume following his death in Alpha Flight #12. Here, Wolverine and Heather have a heart-to-heart in the forest before they get jumped by a horde of P.O.-ed samurai/ninja creeps. – From Alpha Flight #33-34. Also features two outstanding Mike Mignola covers. And… roll the clip! 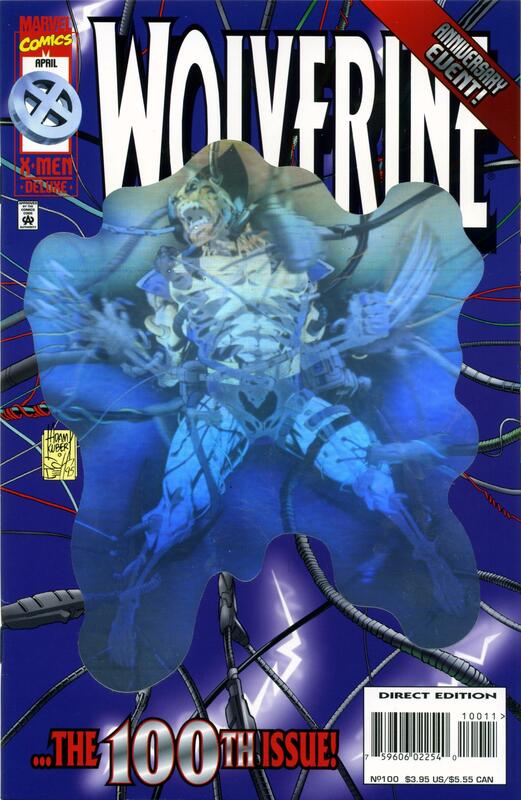 X-Men: Fatal Attractions Wrap Around Covers With Holograms! 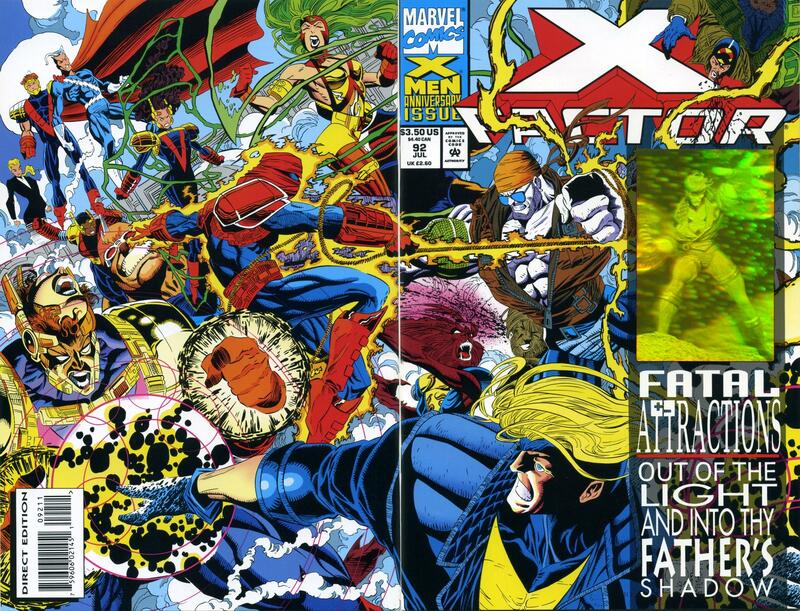 Marvel published Fatal Attractions in 1993, a six-chapter X-Men saga complete with wrap-around covers and holograms! Where are all the holograms now, I ask you? WHERE?! But I digress. 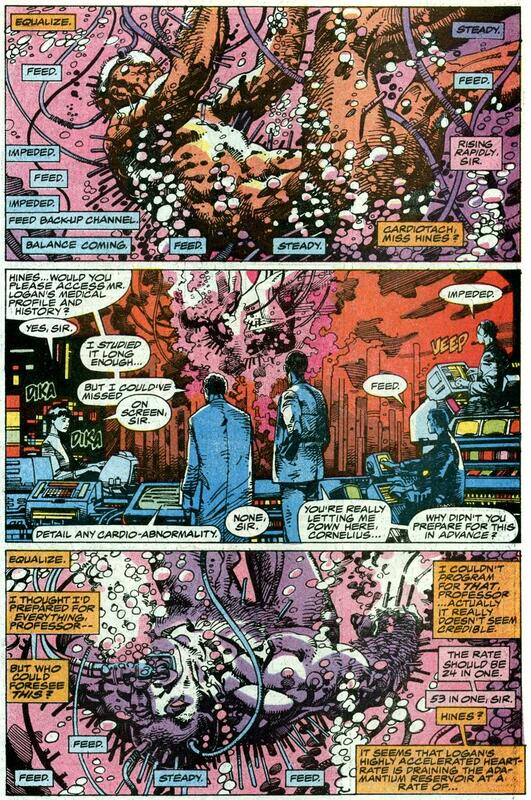 The mind-boggling complexity of this x-travaganza might put you off, if you are not into x-tensive sub-plots of 1993. So let’s skip all that and just rock the covers and holograms! The big highlight of the story? Magneto gets fed up with our favorite mutant and rips all the adamantium out of Wolverine’s body! That’s gotta hurt! It was also the first time we discovered the claws were not implants but a part of Wolverine’s body – even without the adamantium. 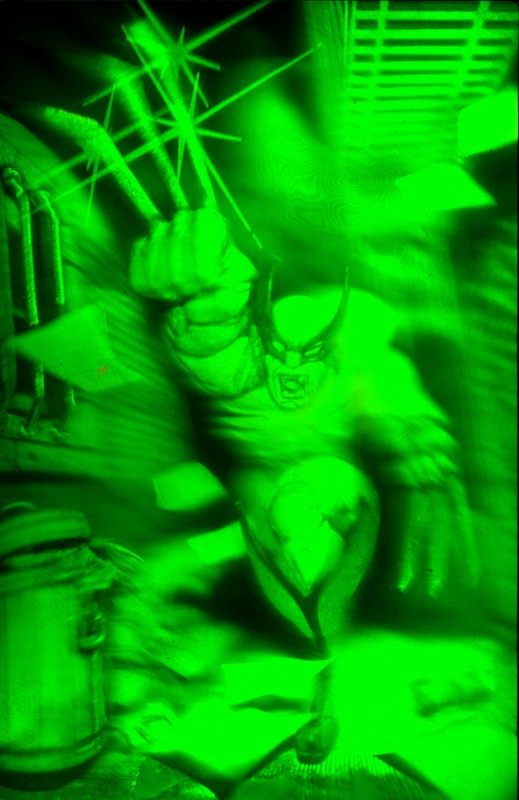 If you like this Wolverine hologram below, you’ll love my scan of the hologram cover to Wolverine #100. Just looking at them on the monitor not good enough for you? Do you need to have the real deal? Then here is your guide to collecting the whole series. – From the Fatal Attractions series; Marvel, 1993. Rocking the holograms with Wolverine #100. This issue also came in a non-hologram version. 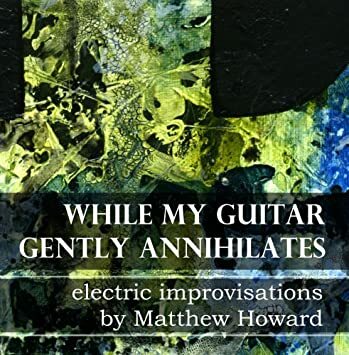 This thing is so damned cool we wish the whole BOOK was done in holograms! Dude, you can see his adamantium skeleton in there! 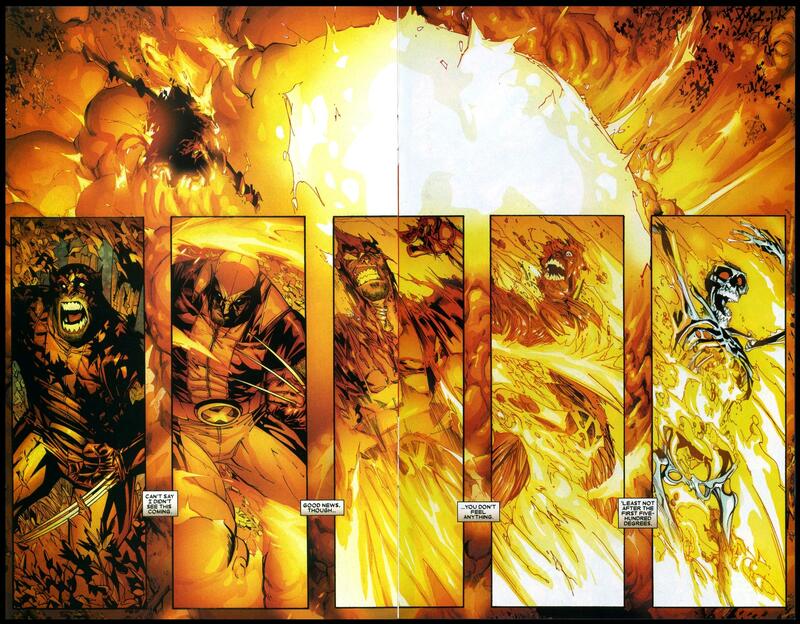 Gaze in awe and then check out more of our X-men Holograms, our X-Men Covers, or our extensive Wolverine Gallery. I’ll Give YOU Something to Body Wax, &$%Hole!! In today’s Wolverine exhibit, Wolverine hunts down Nitro – but when he gets there, Nitro explodes! Artist Humberto Ramos takes us through Wolverine’s re-growth from the subcellular level. Now that’s a mutant healing factor! – From Wolverine #41-46 in 2006. – Reprinted in Wolverine: Civil War TPB; 2007.